Dr. Horrible and Other Horrible Stories is a graphic novel, which collects a few short stories about the characters in Dr. Horrible's Sing-Along Blog (which you should watch, if you haven't already). 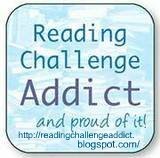 The first story is called Captain Hammer: Be Like Me! Captain Hammer narrates it, talking about how awesome he is and urging people to do their part fighting crime, by doing things like reporting your friend who's good at science, because he might be a supervillain. It's basically an intro to the character, and is pretty funny. The next story is Moist: Humidity Rising, which is Moist's origin story. I'm glad they included this, because I always wondered about Moist in the movie, and what his deal was! I won't spoil it for you, but I will tell you that Moist was actually once a very dry child. Penny: Keep Your Head Up is a cute little story about Penny, and how she's too busy with all her volunteer work to date anyone. Her attempt at a date does not go well, but things look up at the end. The Evil League of Evil is a look at some of the members of the E.L.E., and also shows us a bit more about Johnny Snow, who's only mentioned in the movie. The last story, Dr. Horrible, is the longest. It shows us how Dr. Horrible became a villain (and his reasons are pretty legit! ), and continues through his rivalry with Captain Hammer, leading up to probably not long before the movie. This collection was really entertaining. I enjoyed the little references to the movie, and getting some back story for the characters, including some more minor ones. 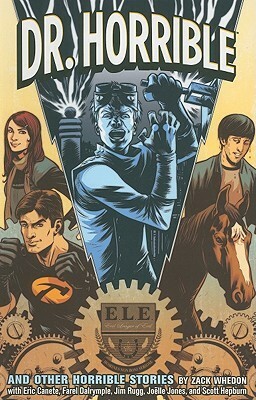 This is a must-read for any Dr. Horrible fan!